When you first meet a potential new friend, you'll want to have a conversation that helps you get an idea of their personality and what makes them tick. Finding out more about them will help you determine if this person is a good friendship fit in your life. While you don't want to grill a new friend, you do want to ask thoughtful questions. Here are a few. This question lets you know how your friend likes to spend their free time. Everyone's idea of "fun" is different, after all, and you want to make sure what your friend thinks is a great time matches your own preferences. If your pal mentions something that you haven't tried, don't use that to rule them out as a friend. People don't need to love the same exact things, but should instead have a similar attitude toward life. Your friend may give you the nudge you need to try something new. "Favorite food that brings you back to childhood?" Everyone has a favorite food item that makes them think of simpler times. This question helps you find out more about their culinary tastes (which may surprise you), and also gives you a glimpse into their upbringing. Chances are your friend will not just describe the food, but also the memory that goes along with it. "Do you have a favorite quote?" You may also find that your friend doesn't have a quote, or can't remember it. This may signify someone who is extremely busy and doesn't always stop and smell the roses. "What is the first thing you would do if you won the lottery?" This question helps you get an understanding of your friend's hopes and dreams. You might find, for example, that your friend would keep their current job and just help out their relatives if they won the lottery. Someone else may tell you that they'd travel the world. Another friend might start a new business. Pay close attention to the details they share because it will give you an important glimpse into their heart. If you want to know about a new friend's family life and religious beliefs, this is a good place to start. Holidays can be joyous events for some people, or sad days for others. It all depends on your friend's background, how they were raised, their current situation with their family, and more. You'll get some wonderful insights by asking this question. "How do you burn off (or handle) stress?" This question gives you an idea of someone's activity level, preferences, and mental health. People can deal with stress any number of ways, from exercising to overeating. Others may believe that ignoring stress is the best way to deal with it. Their answer will give you an idea on how they will handle things if you two were to have a big falling out. Let's face it, dog people are different from cat people. That's not a bad thing, nor does it mean that the two can't be good friends. But people with pets do like to talk about them, and it helps to share that in common with a friend. Dogs are also a great way for friends to be active and bond, and will provide new friends a variety of activities to do together. Finding out if your pal has a pet can also give you a glimpse into their personal and professional life. Someone that answers with a "No way! I travel all the time," or "I don't have time for pets" will clue you in to what their free time and work life are like. "What did you want to do for a living when you were a kid?" This question lets you know if your friend has gone after their major dream, or still pines for a chance to be something different. It may also prompt talk about what your friend does as a secret guilty pleasure when no one is around. For example, if your friend wanted to be a writer, he might get up early on weekends and work on a book. Another person may volunteer for the fire department, or read crime novels because they once wanted to be a cop. You'll also get an idea of your friend's life choices. If they wanted to be a teacher, but had to quit school to get married or raise children, for example, you'll hear about the sacrifices your friend has made in their life. "How did you first know you were in love with your wife?" There are obvious variations on this question depending on if your friend is married, in a relationship, or single, but the gist is to find out about your friend's ideas on love. Do they believe in love? Are they happy in their relationship? 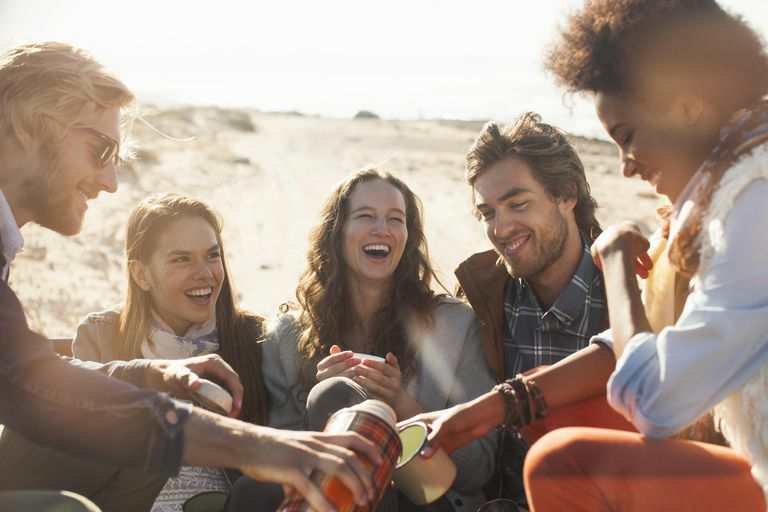 These clues to their personal lives can help tell you whether they are a good fit for you in friendship.